Blend the ingredients until smooth. With a spoon pour the mixtures into ice cream forms. Put in the freezer for at least 3 hours or overnight. 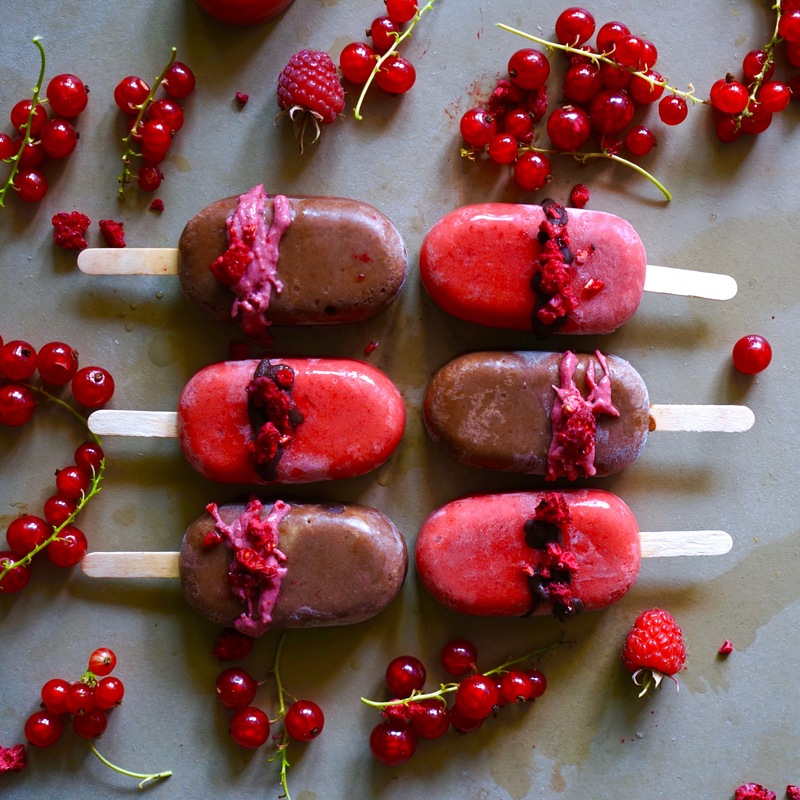 I topped them with white and dark chocolate and freeze dried raspberries. The white chocolate is flavored and colored with raspberry powder.